Yesterday was a warm sunny day for the first time this summer. It got up to 77 degrees and we were lovin' it! 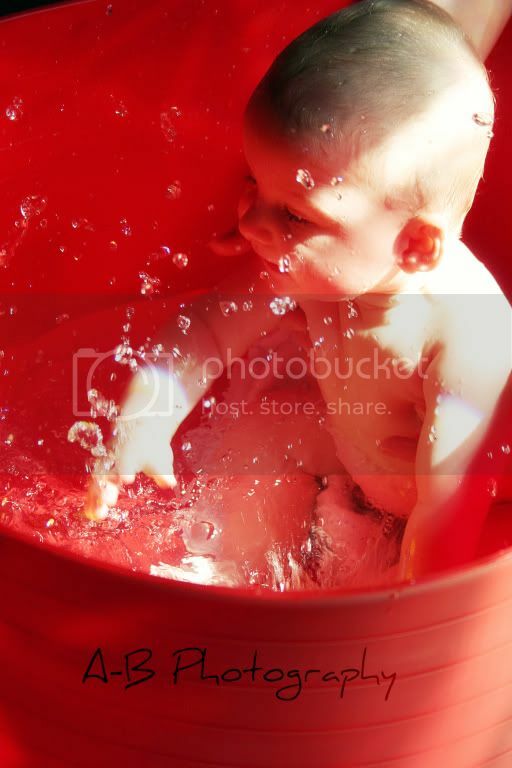 Since it was so warm I decided it was time to give Little Guy some splashing time in his red tub. We've always been in the big bath tub taking is bath under running water. In his tube he learned how to spash, something he really loved doing. After his fun in the tub he had a snack. 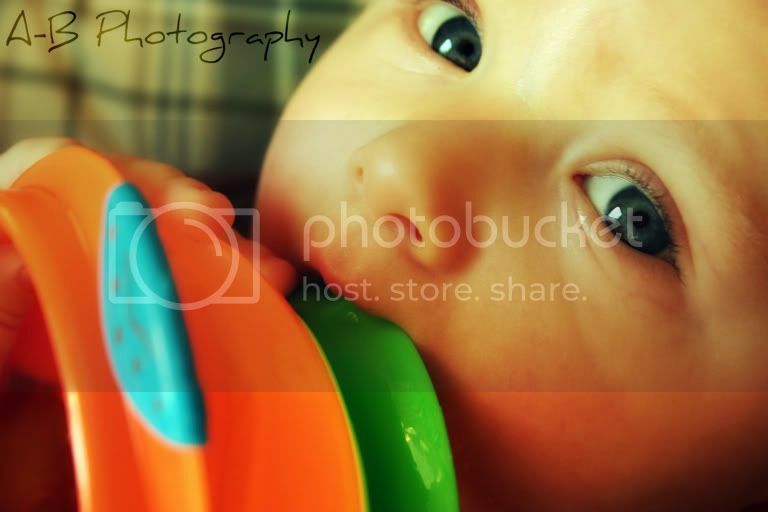 I guess it worked as a paci.